Loading and unloading the barbell for ground lifts just got a whole lot easier with the Mini Deadlift Bar Jack by OneFitWonder. With this Bar Jack you can lift the barbell quickly and easily to add or remove plates from the bar. This comes in handy when you have a large amount of weight on the bar. Dimensions: 2.25" wide x 20.5" long, and 10.5" tall. The handle is 7" long. Built-in handle makes it easier to lift the bar to switch weight. Padded hooking grip to prevent scratching to the barbell. The size of this mini bar jack makes it easy to store. 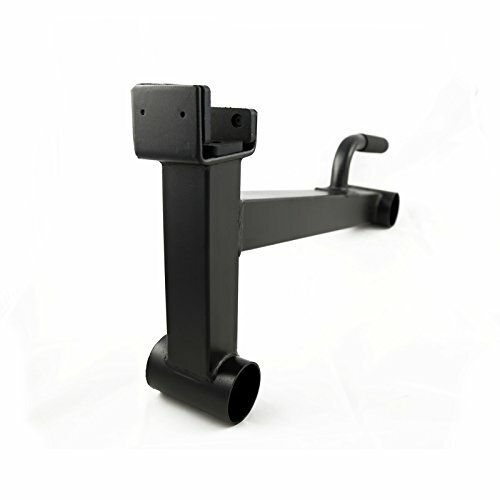 Made of powder-coated steel for durability and strength.